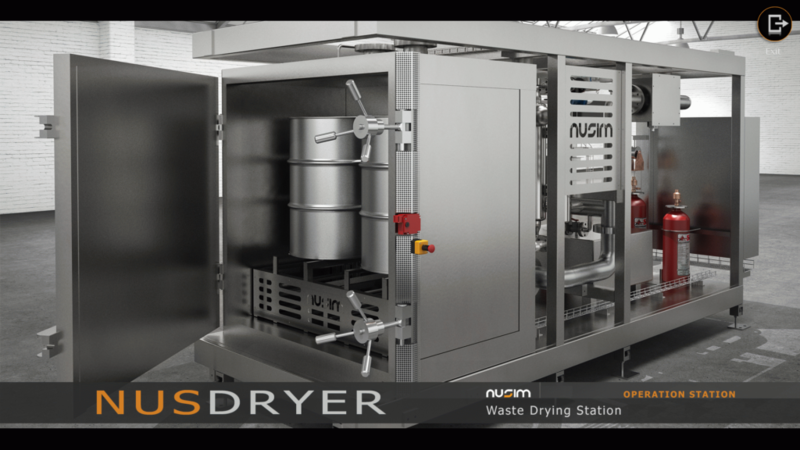 NUSIM, S.A. supplies a Modular facility for in-drum Low Temperature Vaporizer drying of moist compactable waste, under-pressure atmosphere. 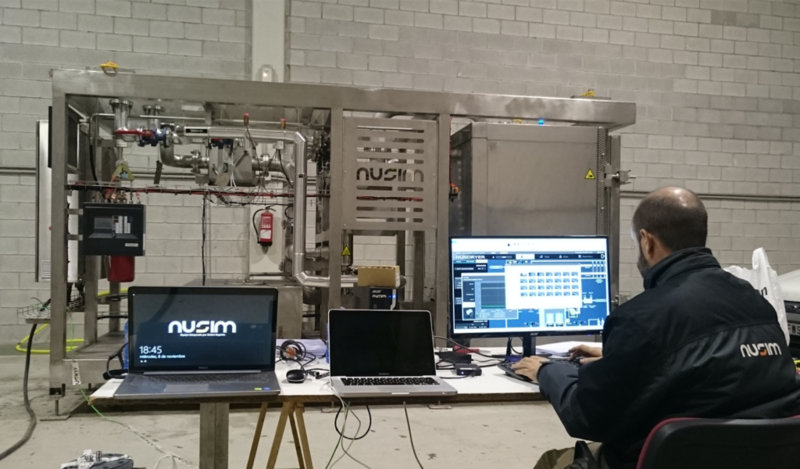 NUSIM has developed a skid mounted facility for in-drum drying. This facility has been supplied fully finished and tested, so that the time of installation and commissioning is greatly reduced. This system also allows to be relocated if it is necessary. The waste is dried inside 220 liter drums. The system can work with several non inflammable moist waste such as compactable waste, sump sludge or waste filters. The drying unit will work continuously for 24h without operator supervision. The function state and warning unit could be adjusted in the control room for safe operation. The facility is also equipped with CO2 injection system to be triggered in case of being exceeded the CO concentration over the maximum limit value.